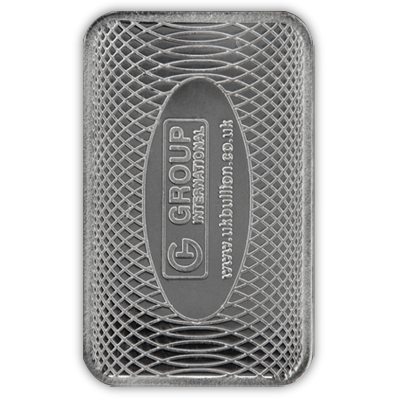 The smallest of our Silver Bullion Bars. Manufactured by Emirates exclusively for us, these minted silver biscuits bear our parent company logo, Group International Ltd, on both sides. 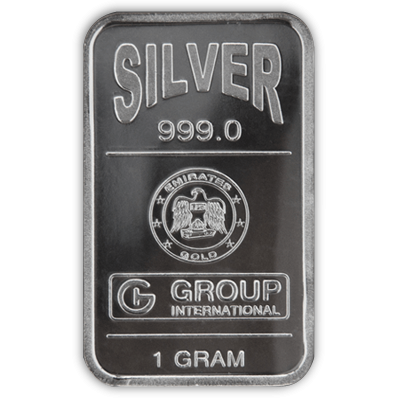 Brand new encapsulated 1 gram Fine Silver Assayed (999.0) Bar. Your 1 Gram Blister Pack Silver Bar Emirates (GI) will be delivered to you free of charge and fully insured during transit, in a nondescript package that will not draw attention to the nature of the contents.